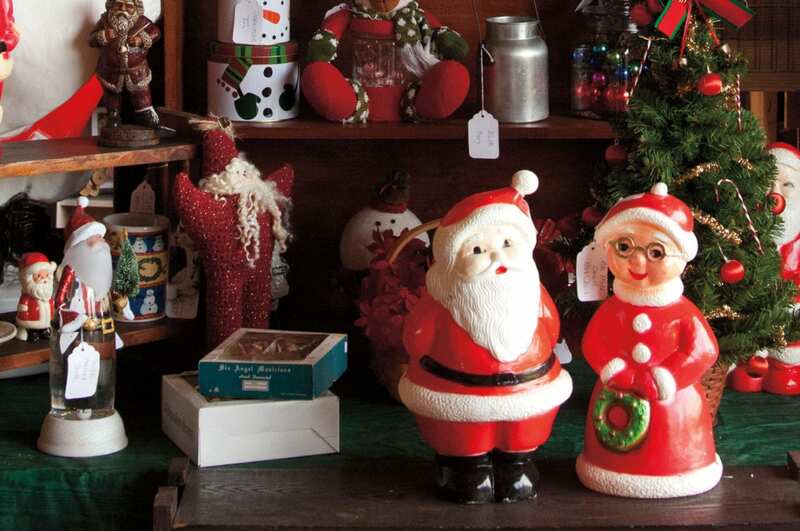 In early November, Christmas at the Barn outside Masontown hosts one of the biggest, most stunning holiday shows and sales in the state. I know—Christmas seems to come earlier every year. 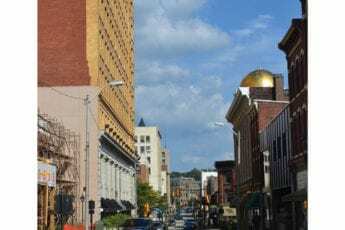 But trust me when I say, this three-day shopping event a half-hour east of Morgantown will put you in the spirit. Imagine a working farm transformed into a vintage Christmas wonderland by the American Pickers guys or Fixer Upper stars Chip and Joanna Gaines—and everything is for sale. 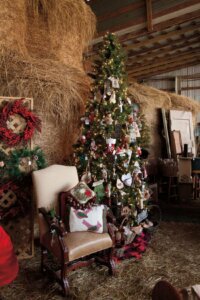 Barns, corn cribs, outbuildings, and hay sheds are creatively converted into miniature shops filled with folk art, tattered treasures, shabby chic decor, handmade jewelry, and steampunk tchotchkes. There’s even a restaurant, The Feed Sack, to keep you fueled during your shopping adventure. to ensure a diverse collection, begin bringing items to the farm and setting up six weeks before opening day. 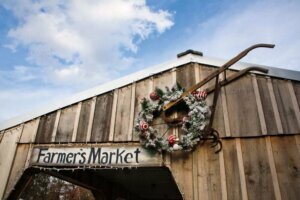 This group of creative souls, decorators, antique collectors, artists, craftspeople, and pickers fills the farm with a wide range of one-of-a-kind items. 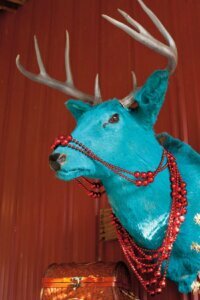 You’ll find unexpected treasures like a mounted turquoise deer, oversized floor candelabras, and vintage signs. There’s a shed filled to the brim with only white items—from milk glass and painted Victorian furniture to shabby chic chandeliers and distressed benches. There’s artwork, antique tools, and stained glass. And everything is thoughtfully curated and staged. You won’t leave empty handed. And don’t be surprised if you return again and again with a friend or two. At night, Christmas at the Barn feels even more magical. 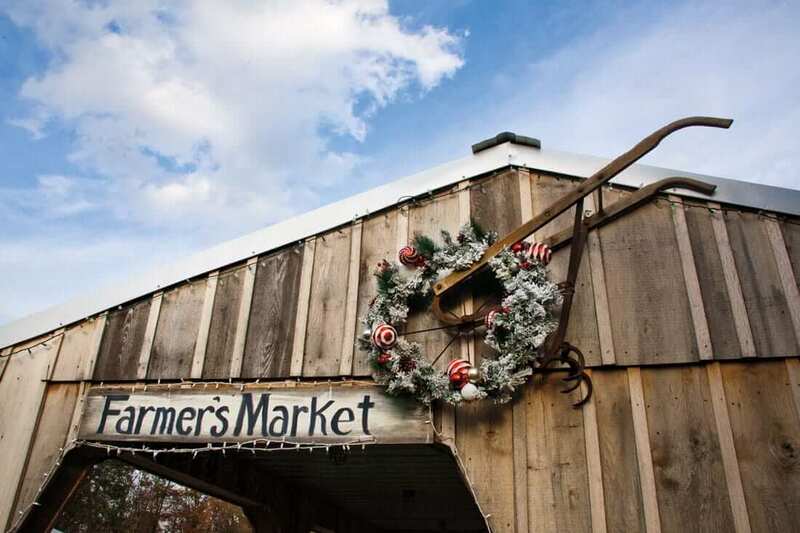 The farm twinkles with Christmas lights, candlelit luminaries, andholiday music. People gather around an outdoor fire pit to warm their hands. It’s like the living version of a Norman Rockwell illustration. Getting to the farm is half the fun. Be forewarned—it is a bit of a jaunt on a very rough country road that is often one lane. Bring the four-wheel drive. Follow the directions on the website. Don’t follow Google’s directions or GPS, or you just might end up in Texas. There is signage, but you will think you are going in the wrong direction. About the time you decide to turn around, you are almost there. If driving on narrow country roads makes you nervous, go during the day. And leave the credit cards at home; only cash and checks are accepted.